Collection Information Tickets must be redeemed at the Attraction Counter - only original copies or mobile voucher accepted. Has your child ever expressed the wish to follow an exciting career when they grow up - perhaps a pilot, a doctor, a chef or a firefighter? KidZania® makes all those dreams come true by providing children and their parents a safe, unique and very realistic educational environment that allows kids between the ages of four to sixteen to do what comes naturally to them; role-playing activities from the real life! By blending reality with entertainment, KidZania® helps kids acquire real-life skills; learn about working and having a career. 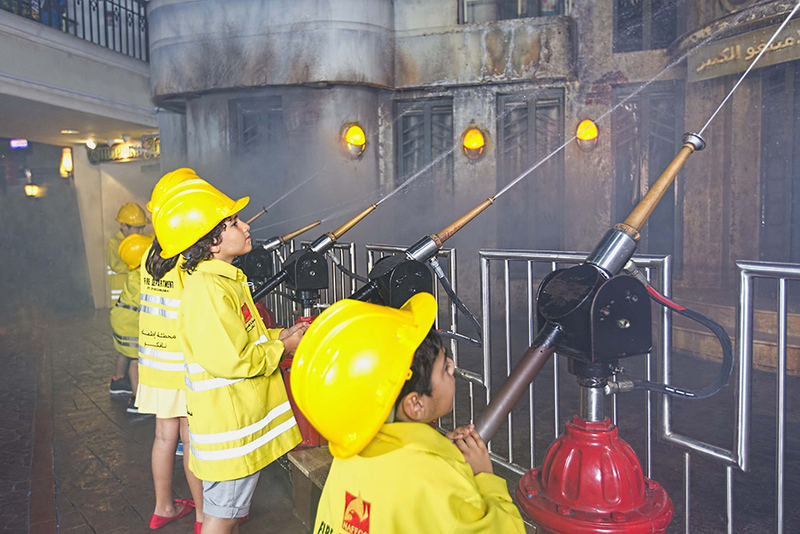 KidZania® offers over 80 role-playing activities with real-life experiences where a child can work as a firefighter, banker, police officer, doctor, radio host and more. Kids are welcomed into a little big world as this indoor edutainment centre is a city scaled to size for children, complete with buildings, paved streets, vehicles, a functioning economy, and recognizable destinations in the form of renowned establishments. Kids from the ages of four to sixteen are able to enjoy KidZania. There is also a separate area for toddlers to enjoy safe and engaging activities. The best time to visit KidZania is when you want to go shopping and you need a safe and educational place for your children. Taking Metro is the most convenient way to reach the Dubai Mall. You can also take RTA buses which takes you to Dubai Mall or you can take RTA taxis.